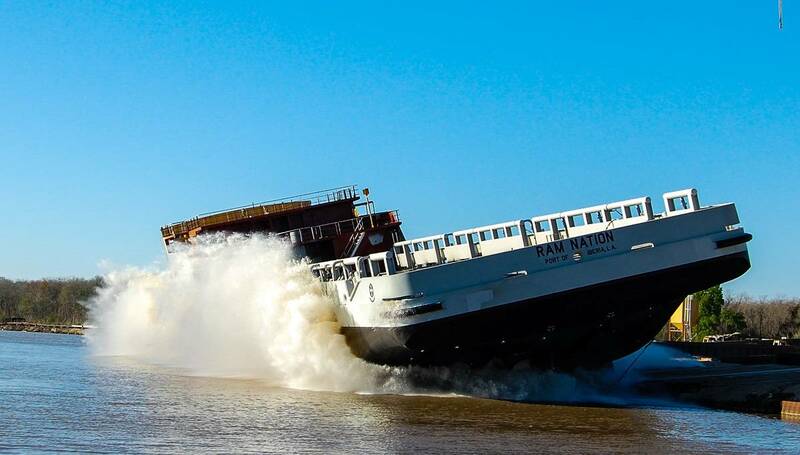 LEEVAC Shipyards Jennings, LLC launched the M/V Ram Nation, the first vessel of a new series of 4,000 DWT PSVs for Aries Marine Corporation, on Tuesday, March 18. The Ram Nation is scheduled to be delivered during the third quarter of this year. The Ram Nation is an LEEVAC-designed 270 ft., diesel-electric, DPS-2, FI FI 1 Platform Supply Vessel that will be certified for worldwide operations. Chris Vaccari, owner and CEO of Leevac, said the Ram Nation is the first of four LDS-designed vessels currently under construction. The design was a joint effort between LEEVAC’s engineering and Aries’ operational teams.